In my previous post, I mentioned that I would show how using the American Express pre-paid card can help with your career transition – whether you are looking for a new job or starting your own business. Today, I will talk about starting your own business. When I speak to my clients about starting their own business, we often run through a checklist of things they need to have in-place. One of the most important tools that I advise my clients utilize is a business credit card. Separation of business and financial expenses is imperative for many reasons including having a clean record of business-only expenses that you will need in order to prepare your taxes. 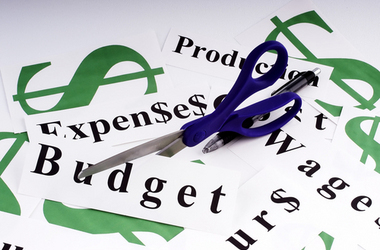 Every business incurs expenses, even the smallest ones. These expenses can include everything from the creation of your website, to business cards, to the hiring of your first employee. The great news is that many of these expenses are tax deductible! Check with your small business accountant for a detailed listing of what you can deduct and how much you should deduct for your business. An expense is defined by the IRS as something that is “ordinary and necessary” for your trade or profession. About.com has a great listing of common business deductions which may include: advertising, office expenses and supplies, postage, print and copy, and software. For the full list, check http://taxes.about.com/od/businessexpenses/qt/DeductBizExpens.htm. Typically, I suggest that companies sign up for a business credit card to manage business expenses – but not everyone qualifies for the best credit card rates. And when you are a small business, the last thing you want to do is pay a ton of interest for your business expenses (unfortunately, credit card interest is NOT tax deductible). So instead of using a business credit card, small businesses can now use the Pre-Paid American Express card for their business purchases. And here’s why the American Express pre-paid card is so great. Unlike other cards in the category, this card actually tracks your purchases online. This is helpful as, undoubtedly, it will make tax time so much easier to have your business expenses split out from your personal expenses. Over the past few weeks, I have used the card to make copies at Kinkos and purchase some office supplies. The transaction summary feature allows me to see where I made the purchase, the amount, and the date. I can then print the summary each month to have a running record of my expenses. Next, I will talk about how the card can be used for those of you that are looking new jobs!